The Inaugural Nebraska State of Beef Conference was held November 4-5, 2014, in North Platte. There were 180 people in attendance. Additionally 26 companies supported the event through vendor booth sponsorships. This gave producers a chance to hear speakers discuss research-based concepts and visit with vendors who could supply the tools they need to manage their operations. This conference is planned to be a biennial event – hosted next in 2016. 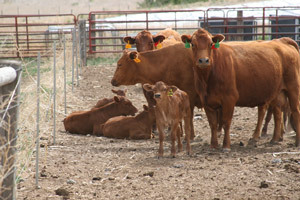 Future of the Beef Industry - Why Rebuild?